This hut was built by the Otago Ski Club in the 1950s in an unsuccessful attempt to develop a ski field on the Rock and Pillar range. The hut was abandoned then taken over by the Otado Tramping and Mountaineering Club in the 1980s. More recently it has been restored by a private trust. 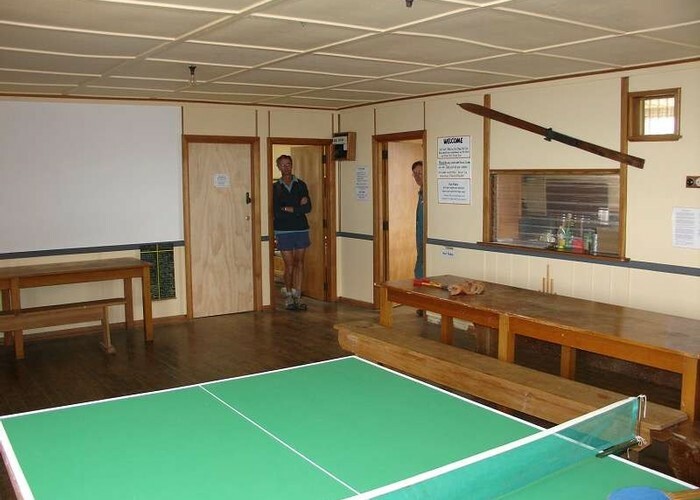 Features include solar lighting (candles prohibited) and table tennis! Inside Big Hut • By pmcke. This hut is owned and maintained by the Rock and Pillar Hut Trust. Fees are $10 per night (adult) payable at the hut. Groups of 8 or more must book due to fire regulations. If a warden is present, fees are $12 per night. Added 30 March 2008 by pmckepmcke. 2 revisions, most recently 18 March 2013 by MatthewMatthew.